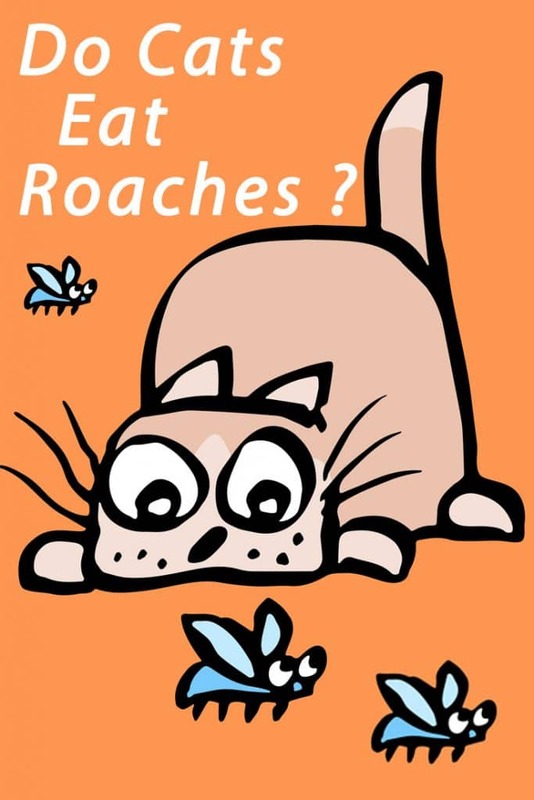 Home Cat Behaviour Do Cats Eat Roaches and It is Safe for Them? Cats are carnivores by nature. Cats that wander in the wild and stay outdoors prey on a wide variety of foods. Their food can range from rats, rodents, lizards, birds, small animals, etc. These foods provide a cat with ample energy and the required nutrients for their healthy well-being. Even indoor cats love to eat all of these if offered on menu. Since indoor cats are more exposed to commercial cat food they are unaware of how to catch and eat these animals in the wild. Some indoor cats are known to catch and eat roaches and small insects at home. Eating roaches seems to be a personality trait. Each cat has his own preference, some may love eating roaches while some may just kill them for fun sake, they may not even eat them. Indoor cats get ample food at regular intervals hence they do not find the necessity to kill and eat roaches. Why eat small roaches when you can eat some delicious canned meat? Cats are very stubborn and fussy eaters. If they feel like not eating a certain thing they would not try them, but most felines kill and eat cockroaches. While some cats my kill and eat anything that flies or crawls, which includes insects, and bees. Due to this habit a lot of people keep cats at home to exterminate roaches. 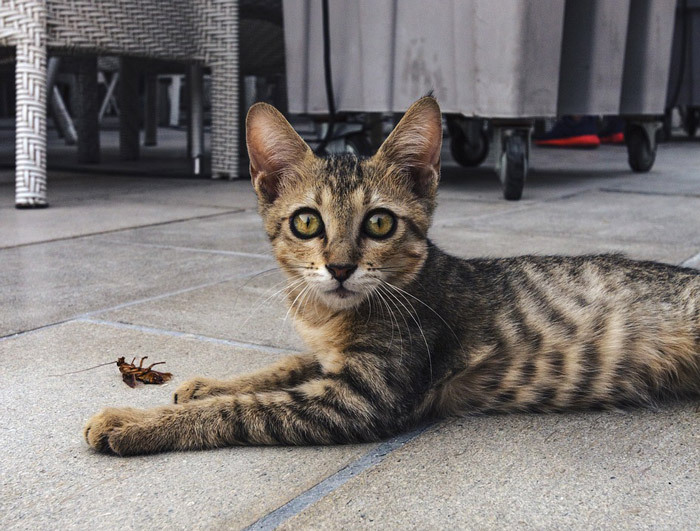 According to veterinarians David Fisher and Skip Sullivan, cats generally look at cockroaches as something that can be eaten as well as can be played with. They enjoy the whole process of chasing and killing, which is in-built in their nature. Cats initially chase the roaches, play and toss them around the floor. The roach finally settles down after a long chase and it is the cat who reigns supreme. After a long chase, the cat sinks his teeth into the roach for a crunchy meal, but the effort is too much for a small sized meal. It is actually the playful chase that makes the roaches attractive for cats and not the taste. Eating roaches doesn’t make your cat sick except after a pest control. Prevent your feline friend from eating roaches that are sick and affected due to the use of pesticide used in your home to get rid of roaches and insects. A lot of pest control companies offer pesticides that are safe to use at homes with pets around. Some cats only play and kill the roaches, but do not eat them. You need not worry if you find your feline friend is eating roaches as it a normal predatory behavior. Actually cats fancy any bugs and will eat them after playing with them for a substantial amount of time or untill the bug is tired and has given up. Eating cockroaches is safe if the roaches are not sprayed with pesticides and you do not notice vomiting and diarrhea in your pet cat. 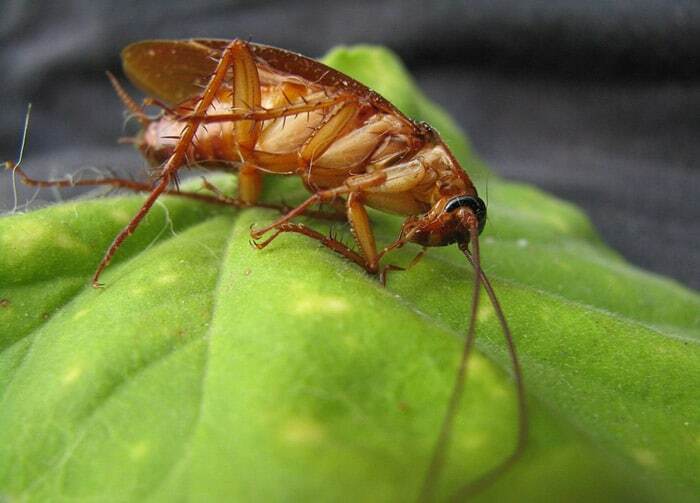 Eating roaches provide them with ample protein. Your feline friend has all the hunting instincts of their cousin the lion. Whenever he sees a small roach passing by, his hunting instincts as well as the playful nature takes over. Even a slightest motion around him, be it a cockroach or a bug will make him jump and crawl closer to the prey. As soon as the roach slows down he will attack. Initially he will play with the roach by tossing it between his paws until the roach is tired and exhausted. The whole process is extremely enjoyable for the cat. Some curious cats may take a nibble while some may not eat the roach. Cockroaches have an exoskeleton, which is a thick cartilage that covers their exterior. When a cat chews on the exoskeleton the fragments can sometimes be rough on his fragile digestive systems. This can cause severe vomiting and the chunks may just pass out through the stools. Since these pieces are tough the chances of them getting stuck in the throat is also high. Watch out for any difficulty in breathing, or choking after he has eaten a roach. Under such circumstances take your feline friend to a veterinarian for a thorough examination to rule out any damage. Cockroaches are not poisonous except when they are exposed to poison due to pest control. Under such circumstances keep your cat away from roaches until you clear your home of dead roaches. Finally, eating roaches is not unsafe for cats except in certain situations. Let your feline friends enjoy their time with the roaches; some may eat them while some may not. More : Why do cat love grass? Previous articleHow to Enjoy Giving Cats a Bath?